Turn your muddy plot into a pristine, evergreen garden that's virtually maintenance-free! The attraction of investing in a newly built property is that it’s brand-new and ready to move in – no lengthy or major renovation needed... except for the garden! In most cases, developers do not supply fully landscaped gardens as standard, that’s normally left to the new owners to organise. Cue owners of new homes are often faced with a muddy plot that’s unsightly and contrasts negatively with the rest of their property. Worse, pets and children end up bringing back lots of unwanted mud into the pristine interior. Artificial grass offers a quick and elegant solution to newly built homes. The installation process is fast, typically just one day for a surface relatively flat up to 48m². It also proves more cost-effective in the long run and a lot less labour intensive in terms of maintenance compared to natural turf – no lawn moving, no watering, no reseeding, no muddy feet or paws, no maintenance costs, ever – it’s virtually maintenance-free! And it looks great all year round regardless of the weather, your artificial lawn won’t suffer from unattractive brown or bald patches. An artificial lawn needn’t be bland or boring, either. We offer a complete landscaping service to turn your bare garden into a tasteful, relaxing and pleasant space where to soak up the sun and entertain friends and family – and no more mud! 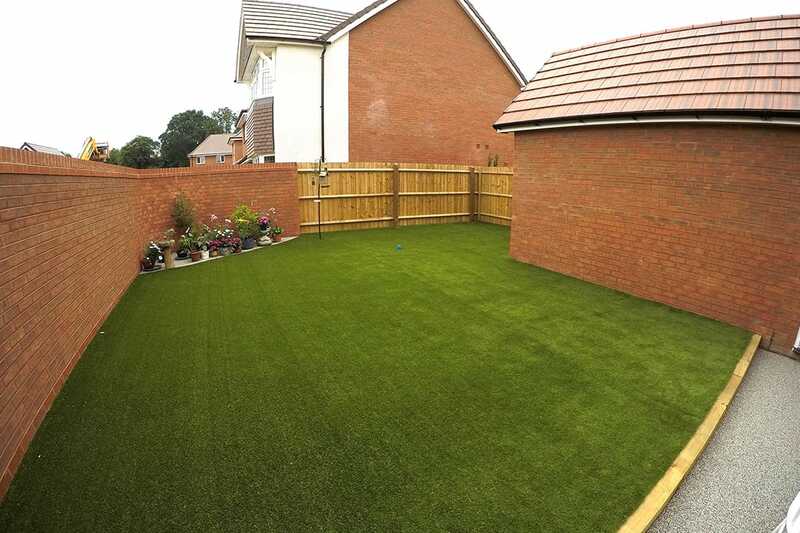 We install artificial grass for new homes across Devon, Cornwall, Somerset and Dorset.